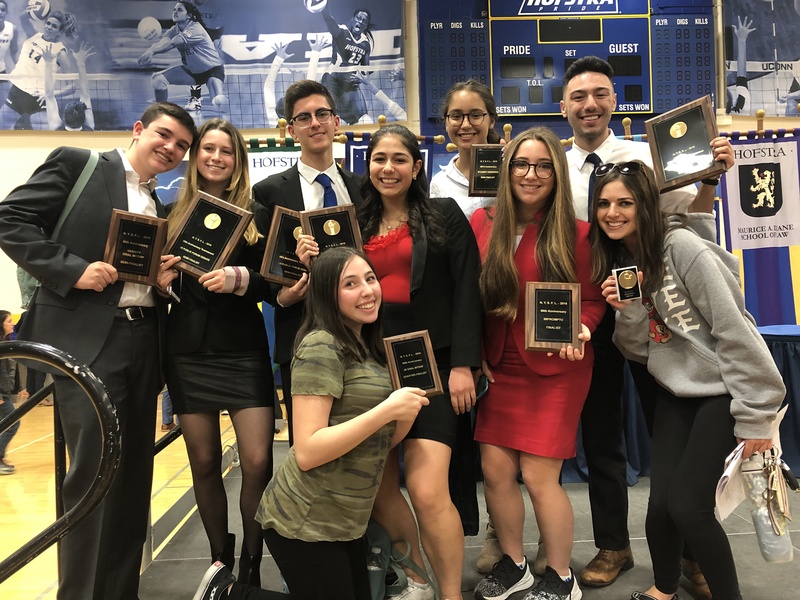 Roslyn High School’s forensics team competed in the New York State Championship tournament April 6 and 7 at Hofstra University. The following results were achieved by the team members: Arielle Fishler received fifth in Impromptu; Isabelle Friedfeld-Gebaide made it to semi-finals of Student Congress; In Oral Interpretation, Daniella Futoran was sixth in Varsity, Alex Russ made it to semi-finals, Abby Drucker made it to quarter-finals; In JV Oral Interpretation, Kyra Sorkin made it to quarter-finals. In Lincoln Douglas (LD), Anthony Barisano made it to semi-finals in Varsity LD, ending his career strong, Andrew Goldberg made it to runoffs in Varsity LD, Daleep Grewal made it to runoffs in JV Lincoln Douglas, breaking a year-long streak, and Aaron Souferi made it to octo-finals in Novice Lincoln Douglas. In Public Forum (PF), the team of Gabby Fries and Zoe Farber had a strong performance, making it to semi-finals in JV PF. The team of Daniel Sung and Josh Samuel made it to runoffs in JV PF.